There have been a lot of Pac-Man games over the years, but there are only so many ways you can tweak the "run around a maze and eat things" genre. Hipster Whale (the developer of Crossy Road) has found a new one, though. 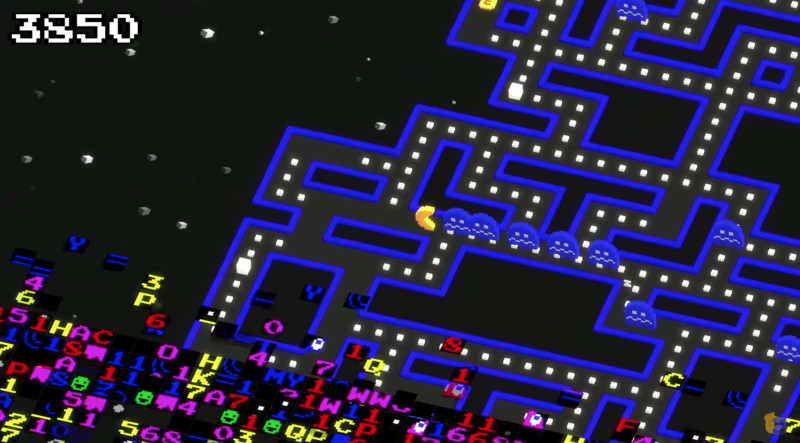 After partnering with Namco, Hipster Whale came up with Pac-Man 256, a homage to the infamous level 256 glitch in the original game. A new gameplay video is now out, and it looks awesome. Rather than being completely top-down, Pac-Man 256 is played in an isometric view like Crossy Road. The basic gameplay is the same as all the classic Pac-Man games. You make your way around and collect the pellets to increase your score, but there are more power ups in this version of the game, making the ghosts easier to take out on an individual basis. This is an endless runner of sorts as well. The game board keeps going upward, and you need to keep moving. There's a wave of game-destroying corruption advancing toward you from the bottom at all times. This is the previously mentioned callback to Pac-Man's integer overflow glitch. In the original game, the levels were stored as 8-bit integers, so the maximum value it could hold was 255. A bug in the game caused it to attempt to draw a 256th level, but it was hopelessly corrupt with the right half looking like a jumble of letters and icons. Hipster Whale borrowed this look for the glitch wave in Pac-Man 256. The game is supposed to come out soon, but there's no firm release date. You can tide yourself over with an additional 15 minutes of gameplay courtesy of Polygon below.